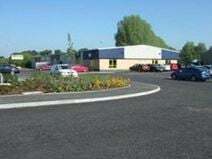 Located with easy access to the inner ring road and just a mile from the city centre, this ultra modern business centre offers furnished, serviced office spaces. A wide range of units is offered, with packages tailored to suit each client’s requirements. Car parking spaces are available, as is access to meeting rooms and reception facilities. Transport links are good with local buses passing nearby, as well as easy access to the M53 and M56. 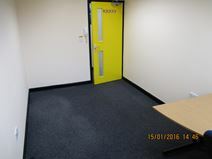 This workspace is in an excellent location, with good transport links including the nearby Chester Railway Station, with direct services to Birmingham and London Euston. The space has good security in place, and is accessible 24-hours a day, allowing for maximum flexibility and productivity. Nearby amenities include a pleasant golf course, for time away from the office and there are lovely views taking in the River Dee. This business centre is a stunning construction of brick and glass, set in a 150-acre area of landscaped ground. Inside, the offices have similarly high standards in furnishing, plus state of the art technical facilities. Offices are fully serviced and other services include an onsite restaurant, break out areas and ample car parking facilities. The centre is situated in Chester Business Park, a popular location due to good access from Warrington, Liverpool and Manchester. This serviced office centre is based in a two-storey building and offers a range of flexible office solutions, along with a selection of amenities including free wireless Internet. Nearby are sandwich shops, a supermarket, and thelocal bus route passes nearby. 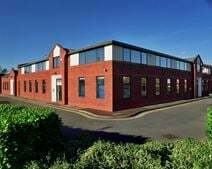 An exciting new development in the Chester West Employment Park, about one and a half miles from the city centre, offers a versatile range of commercial accommodation. Offices, manufacturing workshops and storage rooms are available, plus a range of additional business services. The centre also provides virtual offices, meeting rooms and plentiful free parking.